Human life starts with a single cell, the zygote, which undergoes multiple mitotic cell divisions to form a complete body. During each cell division, the genome has to be replicated to form the approximately 1014 cells that make up the adult human body. For a long time, it was thought that all cells from the same individual harbored identical genomes. The only known exceptions being lymphocytes, in which antigen- and pathogen-driven recombination and hypermutation generate genetic diversity, and germline cells, which undergo meiotic recombination. During normal mitotic cell division, however, the genome is not replicated with absolute precision; this results in the incorporation of somatic mutations . Estimates that are based on known mutation rates suggest that every cell division creates some form of genetic variation, which may or may not have an effect on cellular function [2, 3]. During the progression from the zygotic stage to adulthood, these somatic mutations accumulate (Figure 1). Recent genome-wide assays have suggested that an individual does not have one genome, but is instead made up of a population of different cells. This situation is referred to as mosaicism, that is, the co-occurrence of several cell lineages with different genotypes in one individual who has developed from a single fertilized egg. The true extent of such mosaicism is unknown, but its presence appears to be the rule rather than the exception . Estimates of the mutation burden in somatic cells are high and, as a consequence, it has been speculated that each cell in a human body may have a unique genomic signature; in other words, that each cell has its own 'personal genome' [4, 5]. Many of these mutations will be neutral, in other words, they do not result in a selective advantage or disadvantage for the cell (Figure 1). On the other hand, some mutations may affect genes, and subsequently transcription and protein synthesis. The exact range of the possible biological functions of such somatic mutations is hard to grasp. Some somatic mutations are instrumental in causing diseases, especially cancers , or for the physiologic process of aging . The apparently large extent of somatic mosaicism suggests, however, that some mutations may have normal physiological functions . For example, the brain appears to harbor widespread somatic mutations in the form of aneuploidy or retrotransposon insertions, and it has been speculated that this extensive somatic genome mosaicism might contribute to normal brain function [8, 9]. The extent of genetic mosaicism has tremendous implications for both basic research and clinical applications. Despite Virchow's discovery more than 150 years ago that the single cell represents the basic unit of disease , research and diagnostics are usually performed on thousands of cells without considering the different cell lineages in a body. Such a diagnostic provides only average information about the cells examined. The usual source of cells for clinical diagnostics is the peripheral blood because of its easy accessibility. In cases of suspected mosaicism, the usual diagnostics include additional analyses of non-hematogenous cells, which are obtained by skin biopsies and/or buccal swabs, or the analyses of paired samples of visibly affected and normal tissue. The latter strategy resulted, for example, in the identification of somatic AKT1 mutations as the cause of Proteus syndrome  and of somatic GNAQ mutations in individuals with Sturge-Weber syndrome . In the case of unaffected parents who have an affected child, human geneticists have to consider the option that one parent has a germline mosaic, which would affect the recurrence risk for the affected child's sibling. Nevertheless, germline mosaics are rarely analyzed further as germ cells are difficult to obtain from females. To understand a complex phenotype, large-scale, whole-body single-cell-type analyses, including the characterization of genomics, transcriptomics, proteomics, and epigenomics are needed. Such analyses would greatly contribute to an improvement of our fundamental understanding of both biology and medicine. Furthermore, they would most probably reveal multiple novel insights into disease occurrence and aging. How could such analyses of single-cells from various tissue types be performed? One suggestion is a more detailed analysis of all surgically excised tissues, including tonsils, appendices, defective heart valves, skeletal muscle, and normal tissue in the proximity of tumors . If this material were obtained in a viable form, somatic cells could be reprogrammed in order to generate induced pluripotent stem cells (iPSCs). For example, widespread somatic mosaicism that results from acquired post-zygotic structural alterations in human skin has recently been detected by whole-genome and transcriptome analysis of iPSCs derived from primary skin fibroblasts . The derivation of iPSCs is attractive as it offers the opportunity to examine single cells at many levels - genomics, proteomics, transcriptomics, metabolomics and systems biology - at high resolution and sensitivity. In addition to iPSCs, multiple novel single-cell techniques have emerged in recent years, making the genome, transcriptome and proteome of single cells accessible to detailed analyses. 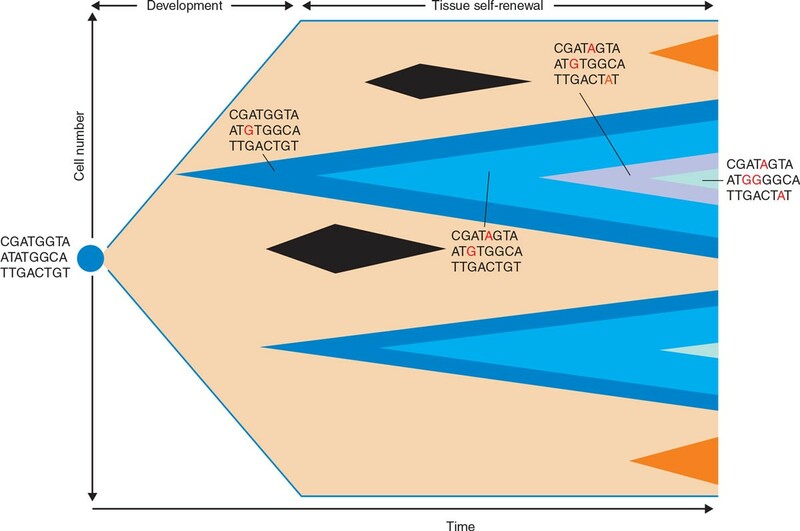 Many of these novel methods are discussed in various contributions in this series of articles for Genome Medicine. With the current progress in developing sophisticated single-cell approaches, what biological and medical questions can be addressed? First, single-cell analyses will improve our understanding of intercellular variability and its biological consequences in connection with disease susceptibility and aging. Second, single-cell analyses might contribute to a better definition of cell types. At present, the classification of cell types is based on characteristics, such as morphology, genotype, phenotype, or developmental origin. There is no common agreement on what really defines a cell type . Hence, large-scale single-cell transcriptome or epigenome analyses might result in an improved definition of cell types and could also help to identify rare cell types . Third, the strength of single-cell technologies lies in their ability to analyze rare cell events. For example, for patients with cancer, single-cell technologies are playing an increasing role in the detection of minimal residual disease or in the analysis of circulating tumor cells in the peripheral blood. Fourth, single-cell technologies are already instrumental in pre-implantation diagnosis, where just one or two cells from the blastocyst are commonly subjected to analysis. Finally, single-cell technologies will contribute to unraveling the true extent of single-cell somatic mutations. This will make it possible to use the accumulation of mutations in single cells during development to infer the lineage ancestry of each cell (Figure 1), which will answer important questions in human biology and medicine . At present, the clinical use of single-cell analysis is - with the exception of pre-implantation diagnosis - still in its infancy. For the reasons mentioned above, however, single-cell diagnostics will be instrumental for the realization of personalized medicine and for the development of completely novel therapeutic concepts. Hence, the bold prediction has been made that we are facing an era of integrated single-cell genomic, epigenomic, transcriptomic, and proteomic analysis that will revolutionize whole-organism science . I thank Mag. Maria Langer-Winter for editing the manuscript. Funding in the author's laboratory was provided by the Austrian Science Fund (FWF) (grant numbers: P20338, P23284 and W 1226-B18, DKplus Metabolic and Cardiovascular Disease), and the Oesterreichische Nationalbank (grant number: 15093).